Asset management is the application of a variety of systems and tools to ensure that every tangible item of value to your company is monitored and maintained. At Seton, we provide a variety of tools for you to use in crafting the perfect system to track your items. We have software and barcode scanners to provide you with a base asset tracking system to record every item your organization wishes to track. 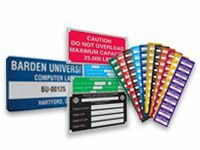 Once you've got that set up, you can then quickly label your items with one of the many asset tags, asset labels, and property labels we have on stock. In case you don't find exactly what you need and want something more specialized or just want labels specifically customized for your company, we also provide use of our Design-Your-Own tool. This will let you create the exact label or tag for your organizational needs. 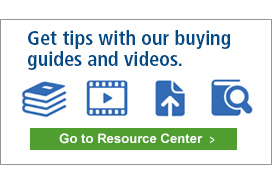 So if you're looking to create a new asset management system from scratch or augment an existing one, be sure to go over Seton's extensive selection of products and enjoy the piece of mind you can only get from picking the best. Asset management can be a complicated and costly affair if not handled correctly. All too often, organizations try to manage too many assets with too few resources. The savings from skimping on proper asset tracking is quickly eclipsed by the loss of more valuable company property. Avoiding this common pitfall is a lot easier than it may seem. 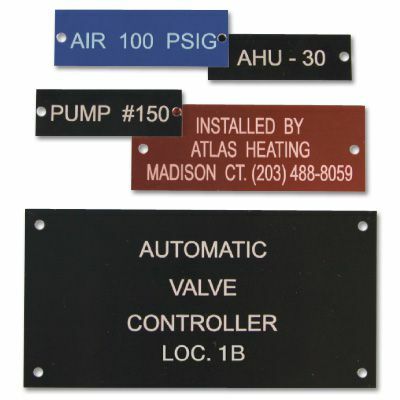 Ensuring that all valuable equipment is properly labeled with an appropriate asset tag or asset label is a must. If the item will be subject to regular and rough handling, pick heavy-duty tags and labels to ensure that it will not peel off. For added security, choose labels with features that prevent it from peeling off in one piece. On that note, always keep your company well-stocked with the most commonly used labels so that you can immediately apply it to every item you wish to track as well as replace worn out labels. Another thing to remember is not neglect your tracking system and scanners. Your tracking system is only as good as the records you keep and proper asset management software is a must in finding out where each item is. To facilitate faster item recording and distribution, it always helps to have a barcode scanner integrated with your system so you can process items without having to manually type out item codes. This lowers the margin for human error in processing, improves your record keeping, and makes it easier for people to requisition needed equipment. By keeping these things in mind when planning or augmenting your existing system, you can be assured of a well-maintained, efficient, and effective system that will let you know where every item is at any time.